Could you fold the crane, everyone? "TSURU Project" is carried out. I express my heartfelt condolences to those who were affected by the disaster. 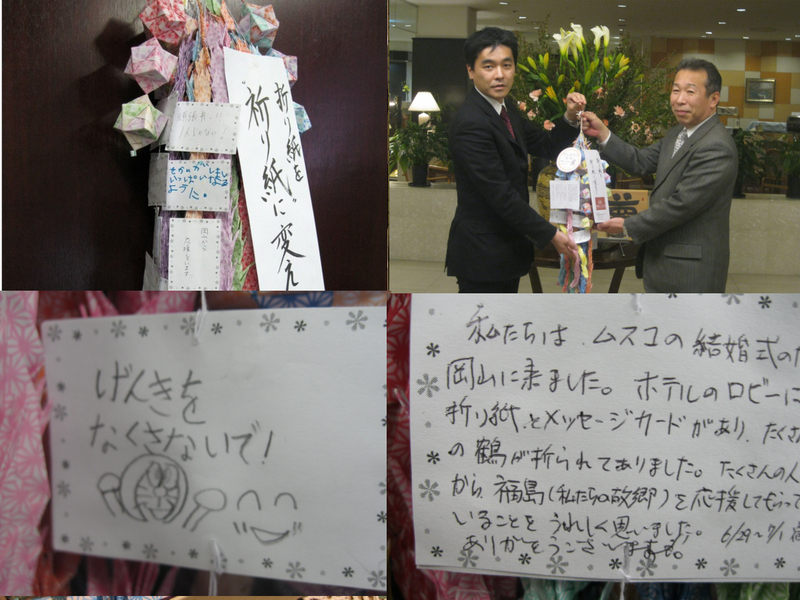 We ask you to fold Ootsuru together with customers and visitors. It is an attempt to support the staff and customers together. Anyone can fold them freely. Sending the crane and message that you cooperated with in the area of ​​the affected area together as "Senba-zuru"
I hope you make it an ale to people in the reconstruction area. Those who can sympathize, thank you for your cooperation. 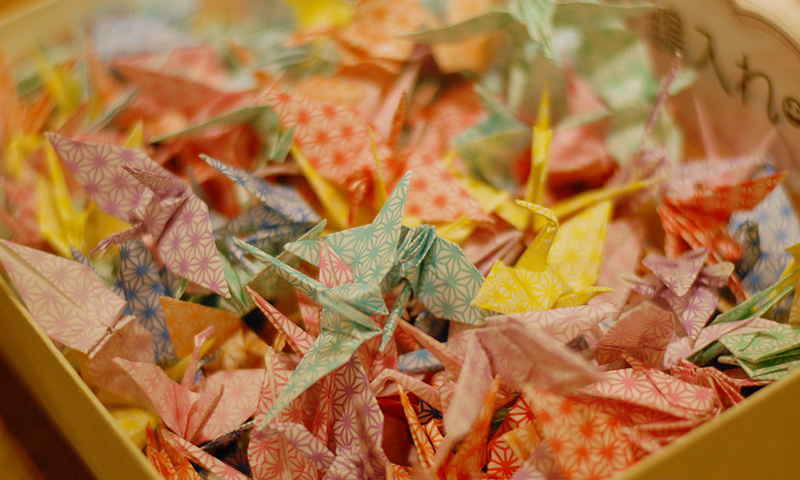 You may break the crane with your origami at home. We are waiting for your warm support from everyone. Change origami into prayers and paper.